Oliver Brown specialises in top hats offering a substantial collection of beautiful antiques and contemporary alternatives. 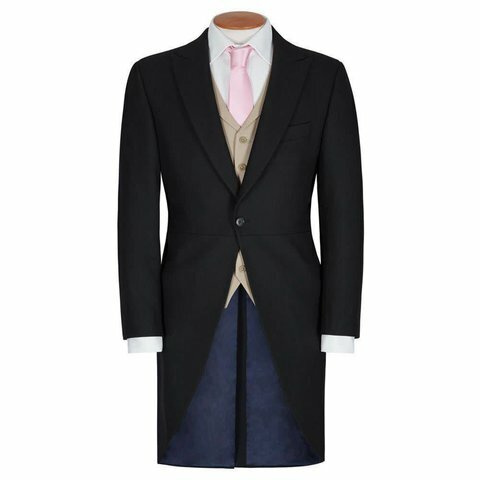 Available to hire is this modern style, hand-crafted of 100% fur felt and finished with a mourning band made of Melton wool and a full white satin lining. 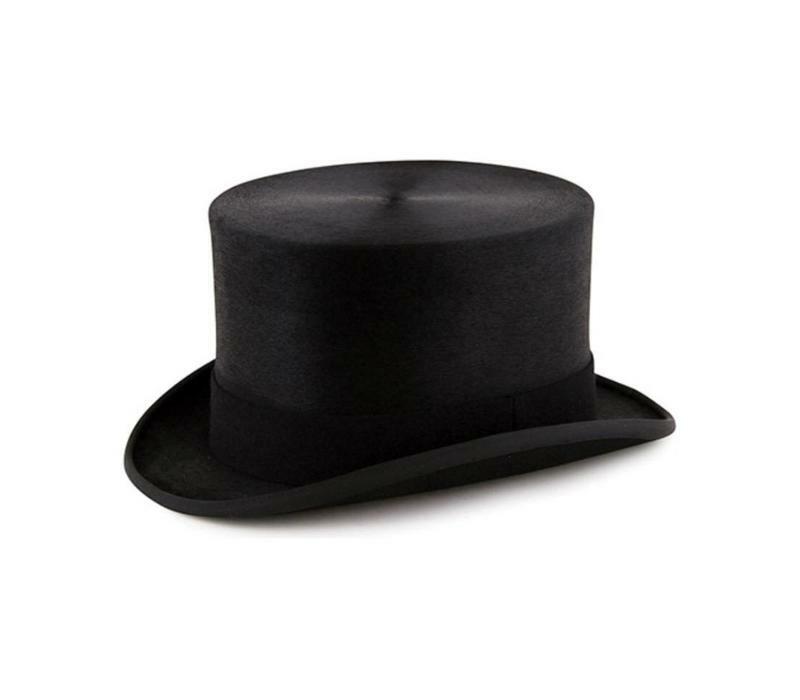 Standing at 5½" tall this classic version will take you to all occasions. 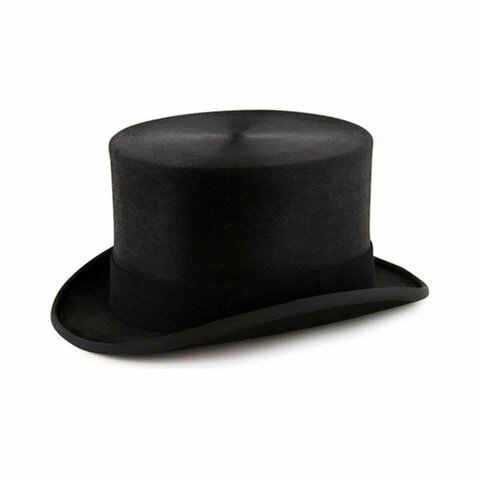 In order to hire a fur felt top hat, please fill out the form below. If you would prefer to visit the shop to make your hire, we recommend you avoid visiting on Saturdays when the shop gets extremely busy. Measure around your head approximately 1" above your ears to achieve the best fit.